The biosphere includes all of the living organisms that call planet Earth their home. The biosphere includes life on land and in the oceans. The biosphere contains many large regions known as biomes. A biome is defined as a major regional ecological community of plants and animals. 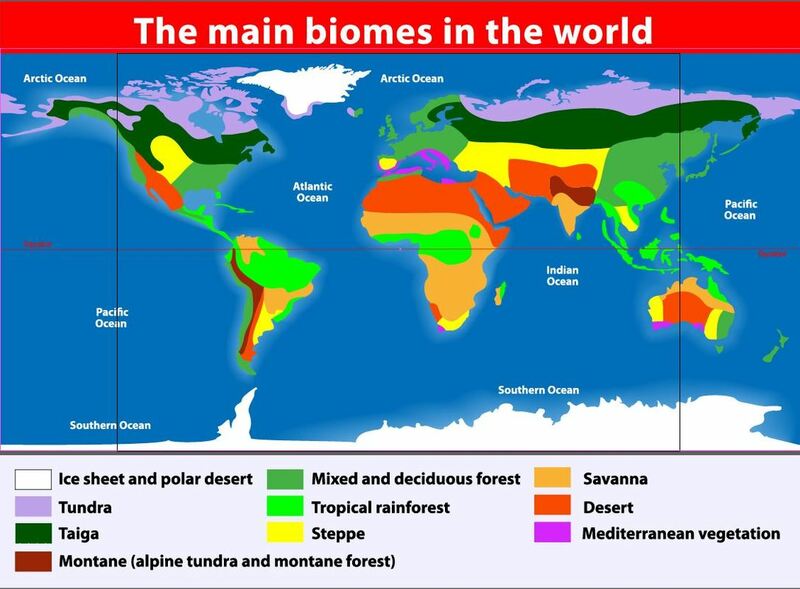 These biomes are characterized according to the plant and animal species they support. There are many biomes on Earth. They are made up of different types of organisms and climates. Temperature, soil, light, access to water and rainfall are all major factors in defining a biome. A biome consists of a larger area that an ecosystem and usually consists of many ecosystems. An ecosystem is more narrowly defined and is the interaction of living and nonliving things in a given environment. Biomes are not fixed in space. As the climate changes, so the biomes. There are 8 basic terrestrial biomes on our planet. Forest - a forest is described as an area with trees that create a closed canopy. Savanna - an area dominated by a mixture of grasses and small trees or shrubs. 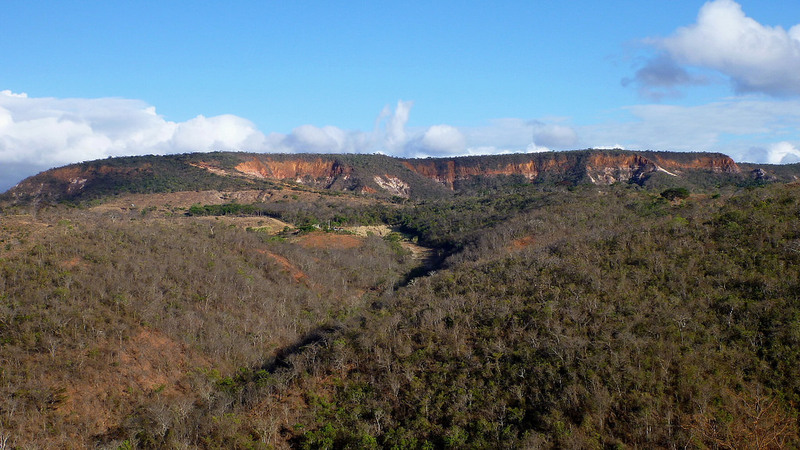 When ecologist, Robert Whittaker, first analyzed the locations of these different biomes in terms of annual rainfall and mean temperature, a climate pattern emerged. Whittaker discovered that the amount of yearly rainfall is highest around the equator. The yearly precipitation gradually decreases as you get further from the equator. Similarly, the mean annual temperatures are the warmest at the equator and begin to cool as the distance from the equator increases. Also, there are more seasonal variations (hours of sunlight in a given day) as you move further from the equator. - A Biographical Memoir by Walter E. Westman, Robrt K. Peet and Gene E. Likens. Elevation also affects the climate. As you increase in elevation, the temperature decreases about 10 degrees Celsius for every 1,000 meters gained in elevation. Cool air holds less water than warm air, so these areas of high elevation are commonly dry. Each biome has a unique distribution and abundance of plant life. Plant life is separated into three broad categories. For example, grasses do not require as much carbon to grow and thrive as more complex woody trees and shrubs. For this reason, we can say that grasses maintain a higher proportion of there biomass in structures needed for photosynthesis. The biomass refers to the amount of matter that makes up an organism. Trees ans shrubs require more carbon and nitrogen to use as building materials. 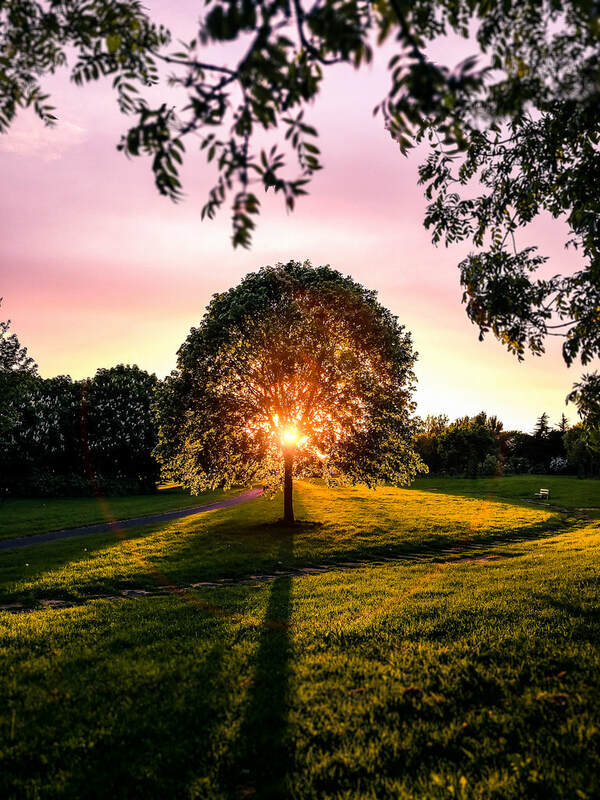 This is more expensive, biologically speaking, but the payoff is that trees and shrubs are taller and gain more access to light than grasses. Shrubs and trees have developed adaptations to survive different environmental conditions, such as drought. ​There are two strategies used by trees and shrubs to tolerate occasional drought. Drought tolerant trees include the evergreens. The evergreens are a phylum of trees that retain their leaves throughout the year. The leaves of evergreens are thick and often waxy which assists them in retaining water. 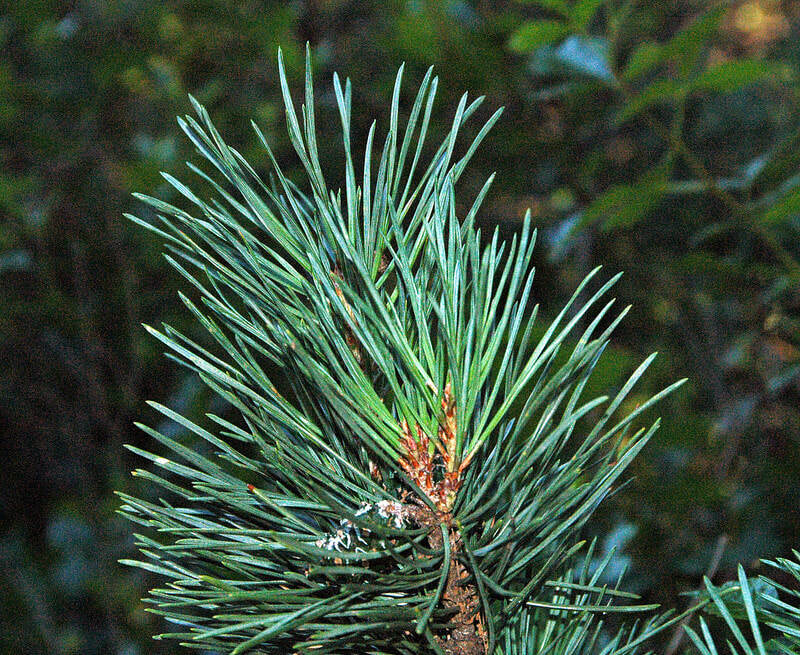 Some evergreens have needle-like leaves, such as pine trees. 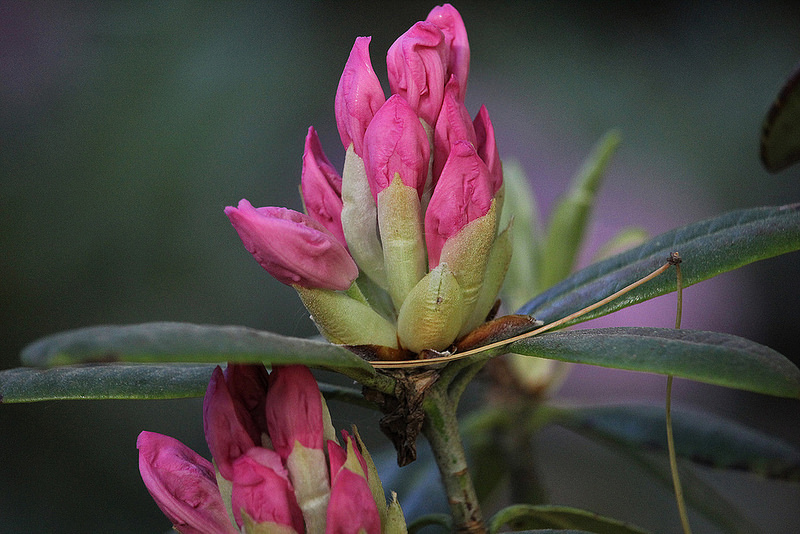 Others may have broad leaves like the rhododendron and This makes them think all trees with needles are evergreens ( not so: the larch is a tree with needles, but loses them every year), or that all evergreens have needles; also not true, there are many broadleaf evergreens. Some examples of evergreens with needles: pines, spruce, cedars. Ecosystems that are warm with plenty of rainfall and no real seasonal changes will have evergreen trees with broad leaves. These are the tropical and subtropical forests. In dryer, cooler, temperate climates with moderate rainfall, the plant life switches to drought-deciduous trees that loose their leaves in times of scarce rainfall. These are the seasonal tropical forests. Areas with even less rainfall and cooler temperatures will have woodland shrubs that are short and sparsely scattered through the area among many species of grasses. This would be characterized as a savanna or woodland biome. In areas of very low yearly precipitation, trees do not grow. 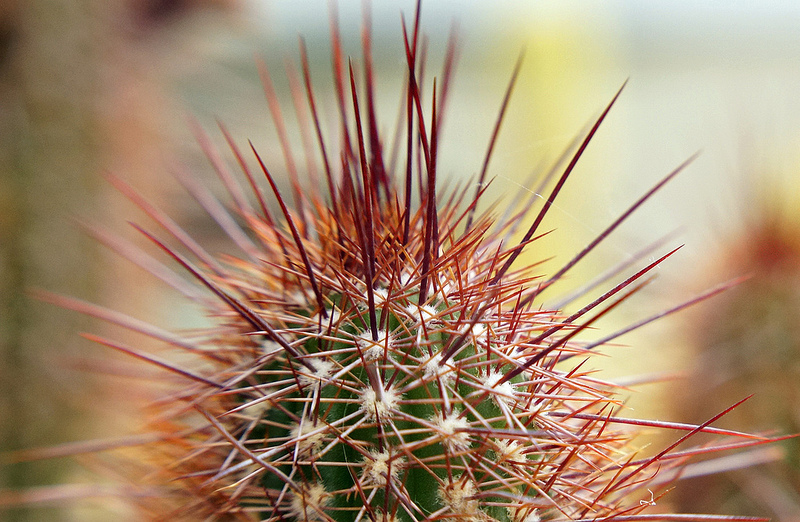 Instead, in these arid regions, sparse populations of cactus, wildflowers and desert plants may be found. These areas would be representative of a desert biome. Tropical forests are located near the Earth's equator, where the weather is warm, the hours of daylight are consistent and the rainfall is plenty. The largest rain forest in the world in the Amazon Rain Forest in South America. Southeast Asia and West Africa contain the second and third largest rain forests, respectively. 70% of the our planet’s surface is covered in water. It has been argued that we know more about our solar system than we do about our deep ocean. The Earth was once completely covered with water. Life evolved to live in water billions of years before the first land-dwelling organisms appeared. The ocean is home to the largest mammal on Earth, the blue whale, which can be up to 110 feet in length! Life in the ocean takes on many forms, with new species being discovered all of the time. Some species spend their entire lives at the ocean floor, while others may migrate thousands of miles to mate and reproduce. Some creatures even burrow beneath the ocean floor to make their home, while others stay in shallow waters or spend most of their time near the ocean's surface. The ocean contains photosynthetic organisms like algae and phytoplankton which make their own food using the light's energy. These organisms are the primary producers in most marine food chains. Similar to the terrestrial biomes, the temperature of the ocean biome decreases as you move away from the Earth's equator. 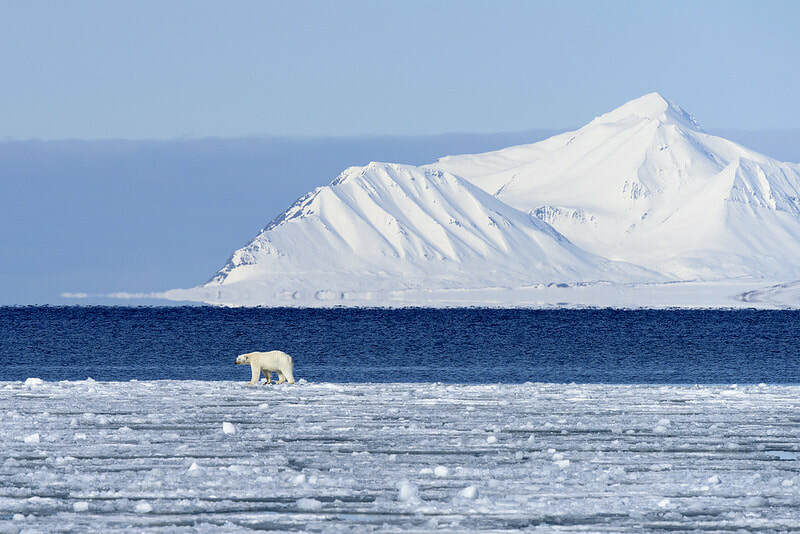 Water near the North and South poles are the coldest regions of ocean water. Also, as you get deeper in the ocean, the temperature decreases as well. Some marine lifeforms are able to live in a variety of marine habitats where others may require very specific temperatures and nutrients, etc. The Earth would not be our home without the atmosphere. The atmosphere keeps the Earth's temperatures within the range needed for liquid water and for life to develop. 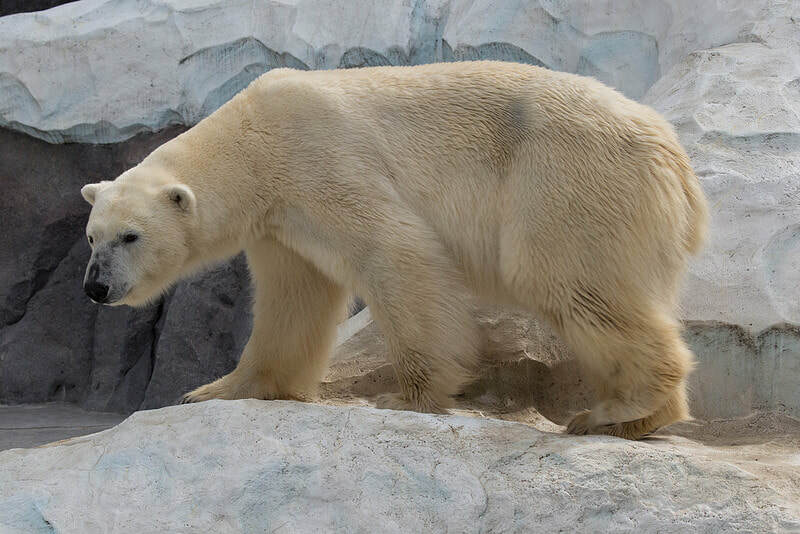 Experts estimate that without the atmosphere, the Earth temperatures would swing wildly from more than 200 degrees Celsius below zero to 200 degrees Celsius above zero. The atmosphere is needed for the water cycle and to protect yourself from the sun's radiation. Nitrogen gas in the atmosphere is not readily available for organisms to use. Specialized bacteria function in the ecosystem to break down nitrogen (N2) from the atmosphere. Some bacteria are able to perform a vital function called notrogen fixation. Nitrogen fixation converts nitrogen (N2) into ammonia (NH3) which can be used by other organisms to form biologically relevant biomolecules. Plants are the foundation of the food chain and these plants demand a lot of nitrogen for synthesizing the molecules they need to grow and thrive. Plants depend on the nitrogenous compounds they obtain from the soil. Nitrogen-fixing bacteria replenish the usable nitrogen content in the soil. Atoms of oxygen are incorporated into many biomolecules. Vertebrate animals depend upon red blood cells to deliver oxygen to the individual cells of the body. The oxygen is needed for the cellular processes that make energy for the cell. When bacteria first evolved on Earth, more than 3.5 billion years ago, the atmosphere contained very little oxygen. Instead, carbon dioxide was plentiful in the atmosphere. The earliest life-forms were able to obtain energy and nutrition from the sun and/or other inorganic molecules that were available at that time. The process of photosynthesis gives off oxygen as a waste product. These early photosynthetic organisms changed the early atmosphere by using up carbon dioxide and releasing oxygen into the atmosphere. Today, the atmosphere is about 20% oxygen. The atmosphere provides weather. Wind is created due to pressure differences between different nearby areas of the atmosphere. Molecules that make up the atmosphere will always diffuse , traveling from areas of high concentration to areas of lower concentration. Many plant species use the wind for reproduction. The wind carries light-weight seeds and pollen to other areas. This dispersion creates variability in the population which is important for the long-term survival of the plant species. Pine trees, fir trees, grasses, flowers and oak trees are just a few of the plants that use wind as part of their reproductive strategy. The wind carries pheromones, which are signaling molecules plants and animals use to influence other organisms. For example, locusts emit pheromones that assists the developmental process of juvenile locusts, called nymphs. Bees release pheromones under stress that trigger an aggressive response from the colony. Plants release pheromones as a defense mechanism. Winds also allow animals to find food, prey, mates and avoid predators. 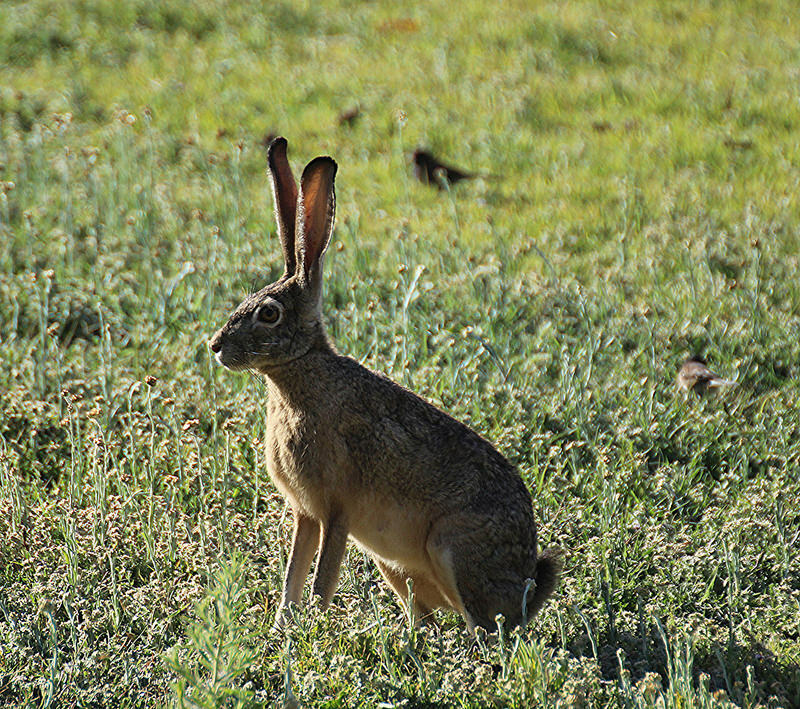 Many animals have a very heightened sense of smell which allows them to sense their surroundings to a much greater extent than what they can sense visually. Patterns of wind influence the distribution of moisture in the air, which influences the amount of rainfall. The amount of rainfall, elevation, soil, and temperature will dictate what plant species can survive in a given area. 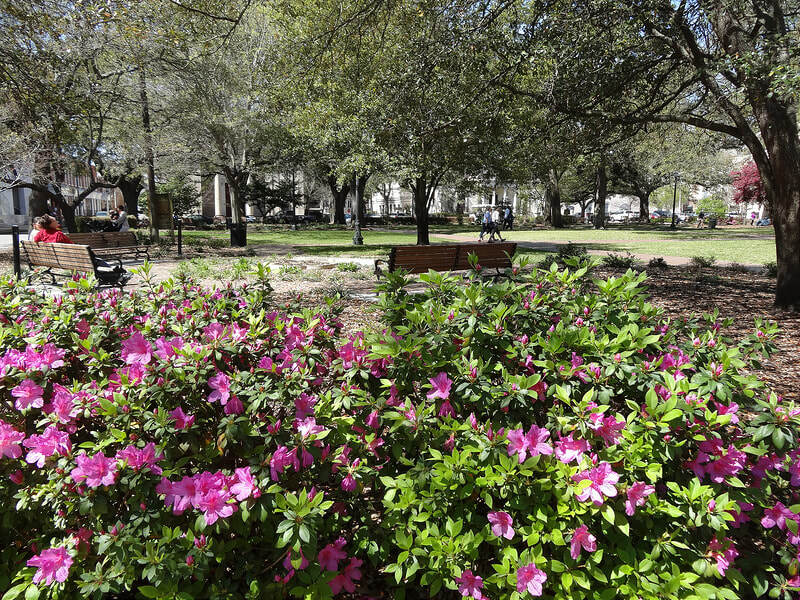 In turn, the types of plants in the area will influence what animal species will inhabit the area. Temperature: Hot during the day and cold during the night. Soil: Sandy, dry and loose; contains minerals like calcite. HOT AND DRY DESERT - Warm throughout the year, very hot summers with small amounts of winter rain. AREAS: North American deserts like the Mojave. 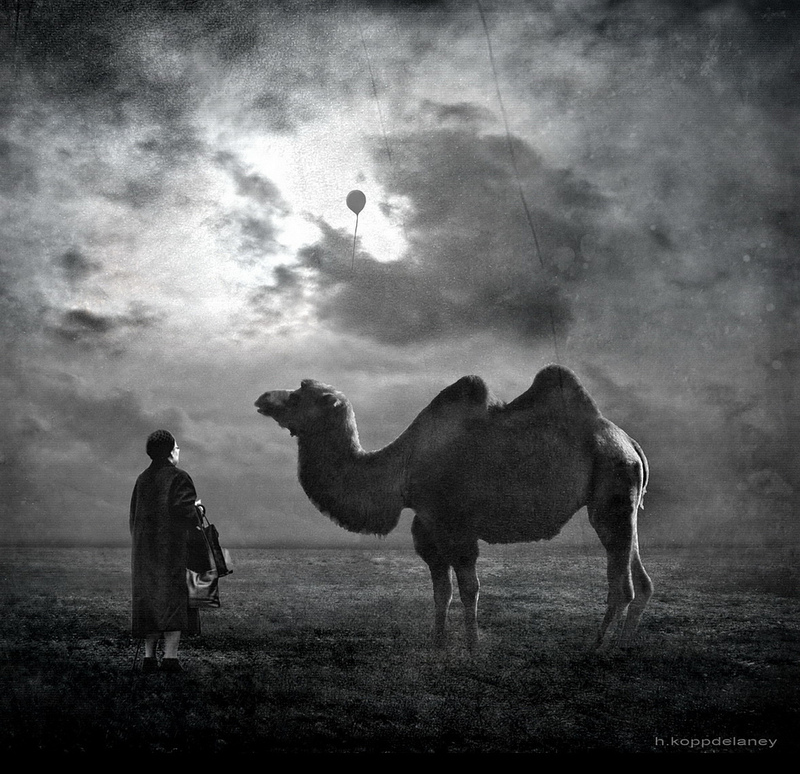 SEMIARID - Long. dry summers that are not too hot, with low winter rainfall. AREAS: Deserts of Utah and Montana. COASTAL DESERT - Long, pleasantly warm summers with cool winters. AREAS: Deserts of Chile. Temperature: Average temperature is below freezing. Soil: Ground covered with little snow. Below the surface soil is permanently frozen (permafrost). Decomposition is very slow because of the extreme cold. 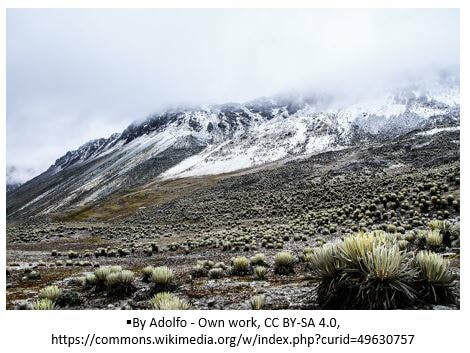 The arctic alpine tundra biomes are the coldest locations on Earth. The arctic tundra is found located between the North Pole and Coniferous Forest or Taiga regions. 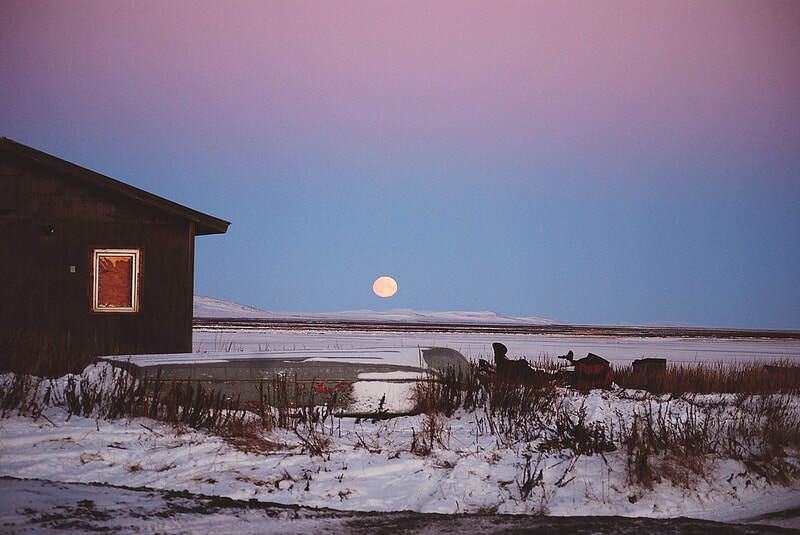 Temperatures are freezing and land is frozen year-round into what is called "permafrost". Short growing season of only 50-60 days. The alpine tundra biomes are located on mountainous regions with altitudes too high for growth of trees. As your increase in elevation, the temperatures get colder, the air gets dryer and the atmosphere gets thinner. For the plants that do grow here, the growing season is approximately 180 days. These biomes and windy and snow-covered most of the year. The word "coniferous" means “coming from the cones”. This is due to the numerous pine trees with needle-like leaves and pine cones that dominate these regions. Long, cold snowy winters lasting 6 months. Cold summers 60 cm of avg snowfall. lasting to about half a year; precipitation is in the form of snow about 60 cm. Below -20 0C in winter and about 15 0C in summer. Soil: Not fertile. It takes very long for needle-like leaves to decompose due to the cold temperatures. Ground is often covered in snow. 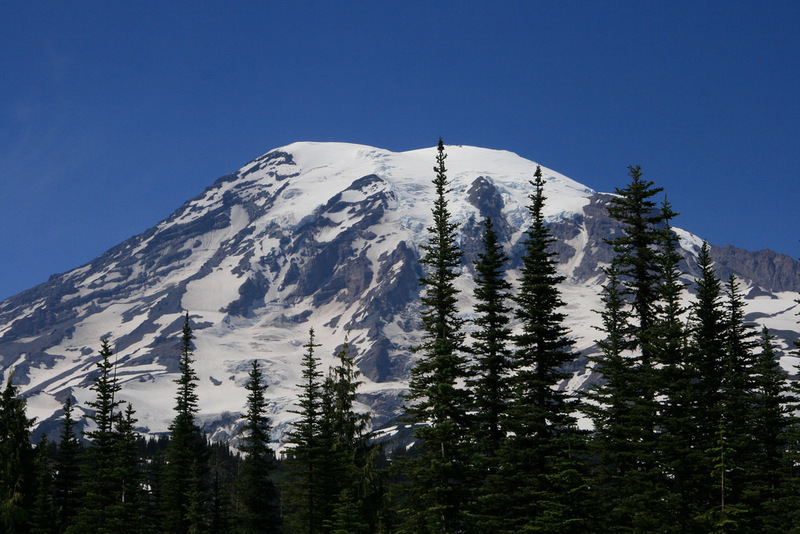 Plant Life: Coniferous (needle-bearing) trees have adapted to this harsh environment. 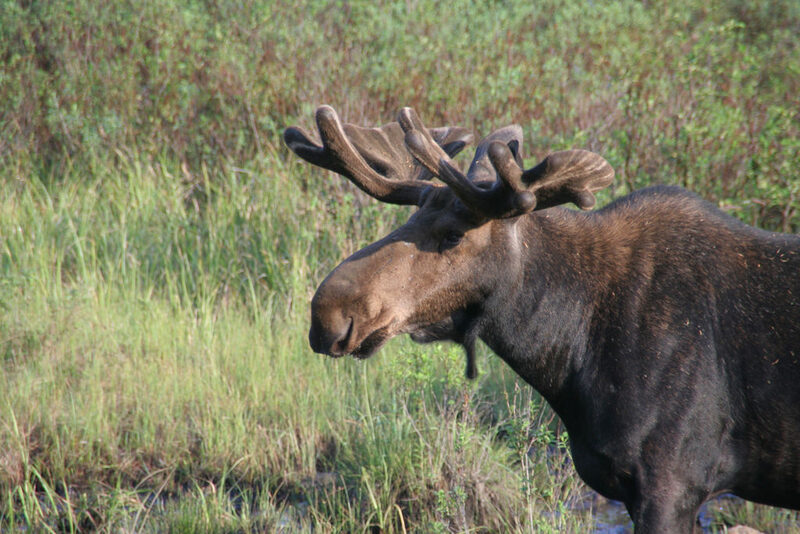 Animal Life : Moose and Mice have adapted to the cold winters. The seasons do not change and it has been hot and wet for millions of years. The average temperature ranges from 70-85 degrees. It rains about 100-400 inches per year. High biodiversity and biomass both hot and moist; ideal for bacteria and other microorganisms; they quickly decompose matter on the forest floor allowing nutrients to be recycled. Soil:Lacks minerals and contains little remains of dead plants and animals. Decomposition is rapid on warm wet soil. Also wet, but not as rainy as tropical rainforest. Rains about 100 inches per year. It is cooler than tropical rainforests but the temperature is still mild. has 2 distinct seasons: one long wet winter and a short drier summer. Typically much thicker than the tropical rainforest. It is structurally more complex, comprising several layers. Generally much deeper and more fertile than those of tropical rainforests. There are about 10-20 species of trees on temperate rainforests that are mostly coniferous. Trees in the temperate forest can live for 500-1000 years. Amount of precipitation supports tall grasses but only occasional trees. Hot summers and cold winters. 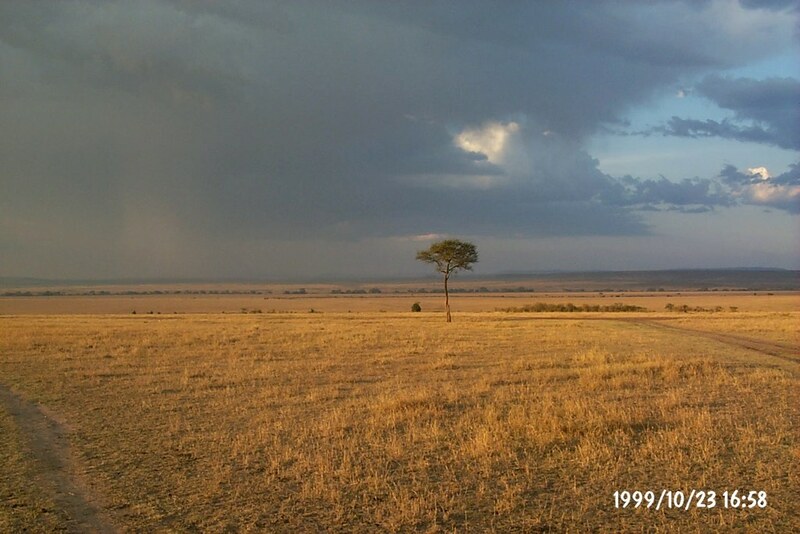 The amount of annual rainfall influences the height of the grass land vegetation with taller grasses in other regions. The soil in a temperate grass land is deep and dark with fertile upper layers. It is nutrient –rich from the growth and decay and many branched grass roots. Biomes as "the world's major communities”, are classified according to the predominant vegetation and characterized by adaptations of organisms to that particular environment". The importance of biomes cannot be overestimated. Thus, conservation and preservation of biomes should be a major concern to all. Because we share the world with many other species of plants and animals, we must consider the consequences of our actions. It is important to preserve all types of biomes as each houses many unique forms of life.